Southern Mesopotamia, as in Antiquity, is an immense network of irrigation canals fed by the Euphrates River. 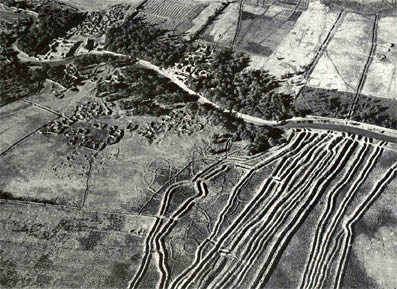 In the days of the Sumerians and Babylonians with the river's low banks irrigation is easy. Rain was scarce, but the alluvial soil, when watered by artificial means, proved enormously fertile. Floods and Mongol invaders destroyed the ancient water systems, Iraq now tries to restore them.